This home benefited hugely from this project, as every bit of unused space was taken advantage of - both the garage and the loft were converted into functional living space, plus, a side extension gave us even more floor area to work with. This project was carried out under a Lawful Development Certificate (meaning the homeowner was operating under their permitted development rights), which was granted on 14th August 2018. 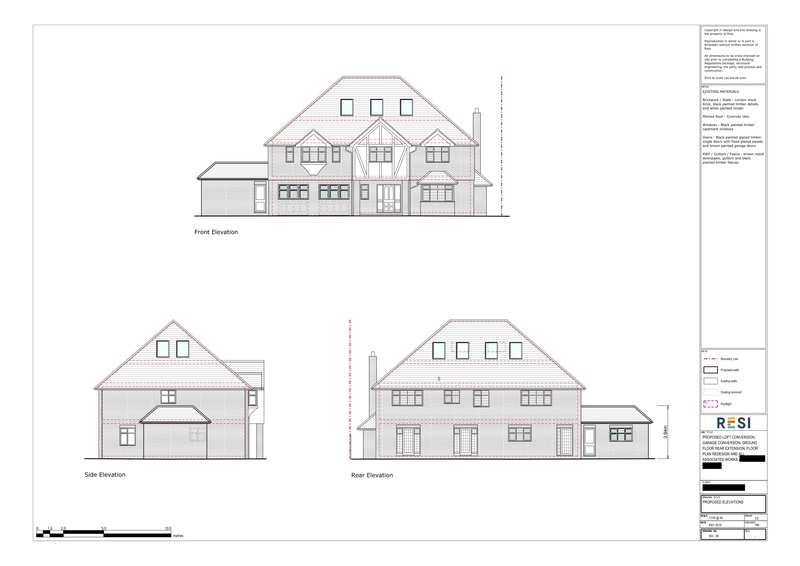 Our client was looking to undergo an extensive project, which included a ground floor side extension, garage conversion, and loft conversion on their home on the outskirts of London. They wanted to use this new floor area on the ground floor to enlarge their kitchen and create an open plan living space. The new side extension needed to house the utility elements for the home, plus the boiler. For the loft conversion, the aim was to create two bedrooms, each with their own ensuite. 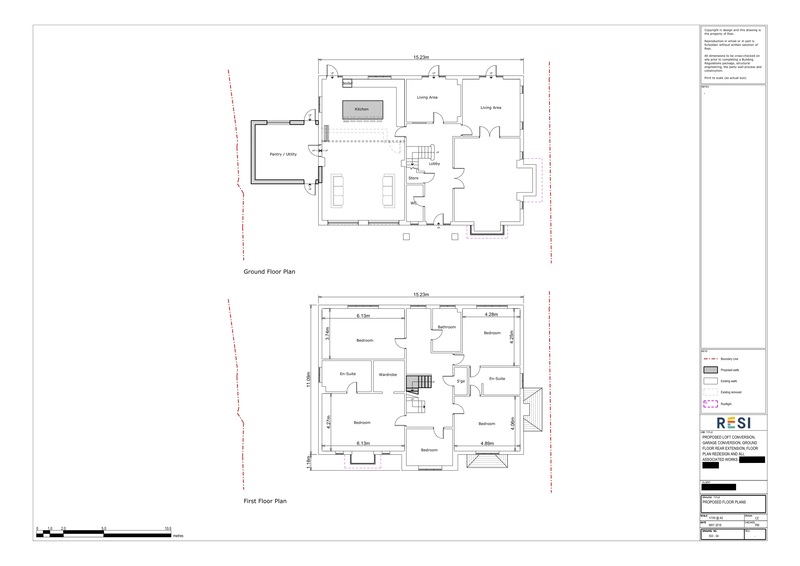 I designed a ground floor extension and garage conversion that allowed for the enlargement of the existing kitchen, and for a utility room and pantry that would accommodate the boiler, amongst other things. The new kitchen was combined with an open plan living area, and had a central island in order to break up the space. 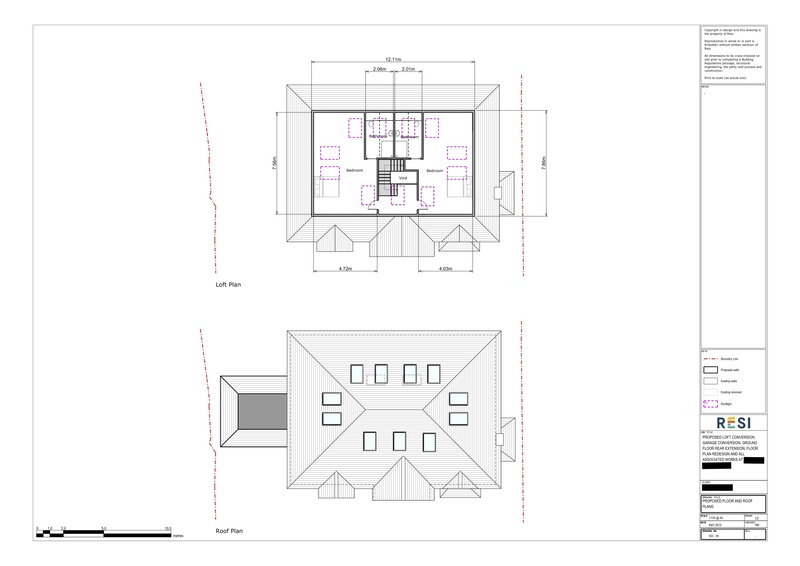 The converted loft space was used to hold two bedrooms, each with their own ensuite, as was requested by our client. This floor was peppered with eleven - yes, eleven - skylights.